Joe has held most positions within the party at varying times. He works full time for a Chilworth Science Park based company servicing occupational health equipment and giving support to users. When possible he continues to cycle around the city and to work. He has an electric power assisted bike which does not add to the particulate pollution currently we are experiencing within the city. Continue to support the Waterfront Campaign which will still be led by the local Party. Work to release proper funding to keep Mayflower Park looking more presentable. Public seating and toilets need continued maintenance and cleaning. Park & Ride for our city. Here we are behind almost every other UK urban settlement by encouraging cars to enter our city and pollute the air. Southampton air quality is some of the worst in the country and a Park & Ride can be one of solutions to help with the clean up. 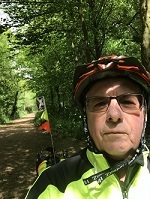 Ron Meldrum is very knowledgeable and passionate about environmental issues, he lives in Portswood, is a regular cyclist and is keen to help Southampton become a cleaner and less stressful place. Ron has a B.Sc. in computer engineering. He has spent many years in industry and has good knowledge of the needs of business. Ron is particularly interested in politics of mental health and education. He believes that part of being Green is being a emotionally a well ground person and would like to see education directed more about personal development, than the ticks in boxes process that children are offered in today's environment. Lindsi has lived in Southampton for over 30 years and has been a Green Party member for most of this time. She has studied at Southampton University and worked for Solent Mind and Southampton and IoW Magistrates Court. She now combines part-time work with work as a self-employed artist selling paintings and cards of local views (available from October Books). Her voluntary work includes helping organise activities and talks for the local community with the Friends of Cobbett Road Library and campaigning for better provision for Southampton cyclists. She is secretary of Southampton Cycling Campaign and regularly leads rides into the surrounding countryside. She would like to see greater support for small independent businesses, protection and promotion of Southampton's historic areas and a transformation of the city's transport to make walking and cycling the first choice for all able-bodied residents. Cara is an artist and Southampton-born environmental campaigner. She is a member of Greenpeace and has also been involved with Friends of the Earth. She set up the first Books for Free shop in the City, which relocated to the Third Age Centre, from where it still operates. She has given a TEDx talk on Freeconomy, regularly reads the Talking Echo for the visually impaired and has been a frequent spokesperson on BBC Radio Solent on environmental issues. Cara calls for cleaner air across the city, “there is a need to address the poor air quality in the city especially in Coxford. We need a bus station, park and ride and more pedestrianised areas.” She doesn't drive a car, but walks, cycles and uses public transport. She has invested her savings in solar and wind farms and in a plant that turns waste into energy. John has lived in Southampton for nearly 30 years, is married with four children and has recently retired. He has been prominent in several local issues. John led the successful citizens campaign to stop the poison fluoride from being added to our water supply and also chaired the cross-party ‘Yes to Fairer Votes’ campaign. John is very keen to get as much energy generated from solar panels on roofs as is practical. Transport is another priority, especially as air quality is currently a major health problem for those living in our City. 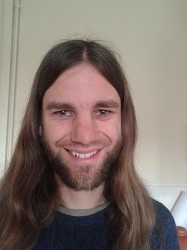 Chris is a self-employed musician and teacher. As well as teaching in and around Southampton, he accompanies the local choir the Conchord Singers, as well playing in a couple of bands both here and away. He also volunteers in an independent bookshop. He is a passionate campaigner for peace, social justice and environmental protection, and has been involved in a wide variety of campaigns over several years, including residents' opposition to a biomass plant in Freemantle, and limits on aircraft noise from Southampton Airport. Jonathan has lived in the Millbrook ward of Southampton since 2006 after moving here to study, and now works for a local disability charity. He believes in a fair society that prioritises the wellbeing and health of people and the environment we live in. Southampton is a great city with a fascinating history and a future full of exciting possibilities. He is proud to call Southampton his home town and would consider it a privilege to serve the community as a councillor. In his spare time, he enjoys music, art, running, gardening, and eating out. Rosanna grew up in Hampshire and has lived in Southampton for just over four years, with a 14-month gap in-between to live in London to work for the Green Party MP Caroline Lucas in her Parliamentary office. 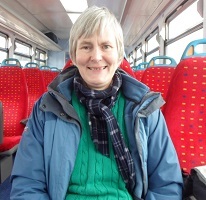 She studied History at the University of Exeter (based at the Cornwall Campus) where she learnt economic history and the importance of social movements, and now works at the University of Southampton, where she commutes by foot and uses public transportation to get around the city. She believes that a properly funded public transportation network and pedestrianisation of cities are vital in order to improve both air quality and the lives of residents, but also that more pressure needs to be put on large corporations responsible for polluting the planet. 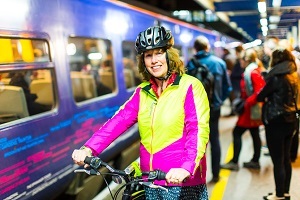 If elected as Councillor, Rosanna would focus on addressing air quality, traffic congestion and homelessness by pushing for improved cycling infrastructure and public transportation as a real alternative to taking a car and emergency accommodation with more social homes that people can realistically afford. Katherine Barbour lives in Portswood where she is standing as the Green Party Candidate. Most of her career has been in health and social care and sees the NHS as one of our greatest resources to be protected at all costs. 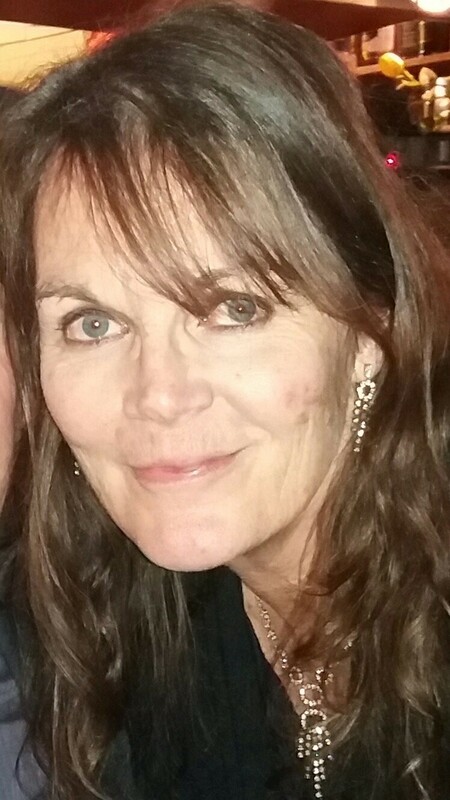 She leads community projects such as making Portswood, Highfield and St Denys dementia friendly and has worked with residents of Kent Road to address the excessive use of HGVs along a quiet residential street. Addressing air quality in the city is one of her priorities. Lucy has been a Hampshire resident for most of her life. She became interested in environmental issues as a young child and followed this with a degree in marine & environmental studies. She has since started an upcycling business 4 years ago in order to find a moral way of living and at the same time reducing her impact on the planet. Lucy joined the Green Party as she finds their social policy has a more balanced approach to both people and the world we live in. Having a multi-cultural family and many friends with other nationalities she finds the UK’s position over BREXIT appalling. Remaining in Europe gives us better voice. Angela has lived in Swaythling for 18 years. 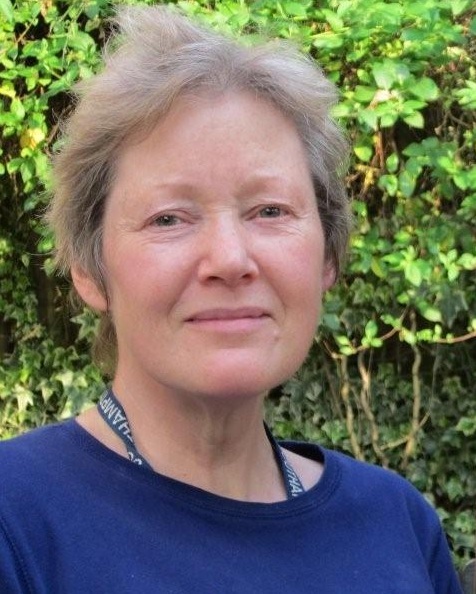 Before retiring she worked at Southampton General Hospital as a Medical Physicist for over 30 years so is well aware of the challenges facing the NHS locally. She is active as a volunteer in her local community, is co-chair of Transition Southampton and also runs Southampton Repair Cafe which aims to challenge our throwaway culture. While she believes climate change is one of the most important issues we face, we also need to address chronic problems of traffic congestion and air pollution in the city, and the many social problems arising from poverty and social exclusion. Clive is a Centenary Quay resident since 2016 and has previously been both a Town and District Councillor in West Berkshire. 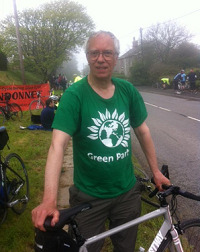 He has always been an environmentalist but after doing an OU Environmental Studies degree in retirement he really came to align with the Green Party. He is a supporter of action for clean air, improved cycling infrastructure, proportional representation and of course, the 'Peoples Vote and Revoke Article 50' campaigns. The bottom line for us all is consume less and reduce our impact on the environment. Clive believes that the UK can only prosper and build a strong economy in order to improve our society by staying in the EU, and is absolutely certain that local representation and actions can influence council thinking and decisions.